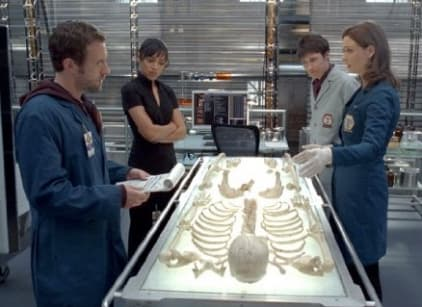 Here's a quick recap of the latest Bones episode: during it, the team only has a short time to find out what happened to a murdered car salesman. Why the short period of time? Take too long and his foaming bones will disintegrate.